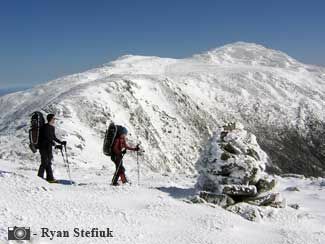 Mount Washington and the Presidential Range offer numerous options for alpine climbing and mountaineering: winter summit climbs, the Presidential Traverse, technical ice routes in Tuckerman's or Huntington's ravines, technical rock climbing in Huntington Ravine, and more. Tuckerman's and Huntington's Ravines offer routes for all technical abilities in rock climbing and ice climbing. From long day trips, to multi-day overnights, we can provide a number of options and route choices. The Presidential Traverse is one of the most challenging and fun winter mountaineering trips on the east coast. The experience is highly-dependant on the weather... Sunny days can bring a quick pleasurable, experience, while harsh weather can make you run for cover. It is a good test of one's winter mountaineering skills: the area is known for the worst weather in the world, and many use this as a training for trips to Alaska and other cold regions. We offer programs to help increase your chances of success. Traveling light, being well prepared and having a route plan for poor weather and with escape routes are just a few of the requirements to complete before attempting the traverse. 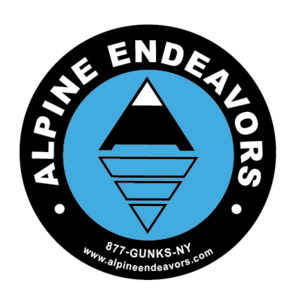 Our trips are offered throughout the year - rock climbing mainly in summer; ice climbing from December through March, and most Presidential Traverse happen in March when there is significant snow and longer days.